2018 Gartner Magic Quadrant for Network Performance Monitoring and Diagnostics: What’s Changed? Analyst house Gartner, Inc. recently released their annual Magic Quadrant for Network Performance Monitoring and Diagnostics. Gartner recognizes that network performance is integral to success in any digital business. They believe that Network Performance Monitoring and Diagnostics (NPMD) solutions are critical to network visibility, performance issue detection, and root cause analysis. The report is vendor agnostic and Gartner does not endorse any vendor, product, or service in its publication. Gartner’s definition of Network Performance Monitoring and Diagnostics has not changed since last year. They believe these tools should allow IT professionals to fully understand the performance of application, network, and infrastructure components of a network. NPMD tools should monitor network traffic and infrastructure, while also providing solutions to outages and degradation. They should also help identify optimization opportunities through diagnostics, analytics, and root cause analysis. 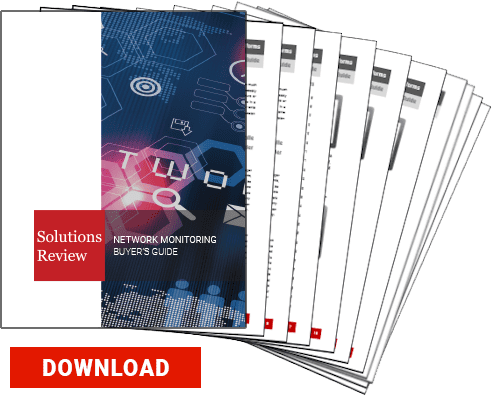 In this report, Gartner evaluates the strengths and weakness of 22 network performance monitoring vendors. The Magic Quadrant graphic plots the vendors based on completeness of their vision and ability to execute. From here, the vendors can end up in four different categories: Niche Players, Visionaries, Challengers, and Leaders. The 22 vendors selected for this year’s report are: Accedian (Performance Vision), AppNeta, CA Technologies, Cisco, Colasoft, Corvil, ExtraHop, Flowmon Networks, InfoVista, Ipswitch, LiveAction, ManageEngine, Micro Focus (HPE), NETSCOUT, New H3C Group, Paessler, Riverbed, Savvius, SevOne, SolarWinds, Statseeker, and VIAVI Solutions. Gartner chooses the vendors to include based on markets. Sometimes markets change, and this can result in vendors being dropped from the Magic Quadrant. Genie Networks was dropped, due to their focus being on security workflows and use cases. (HPE was also taken off the Magic Quadrant due to being relabeled as Micro Focus). The seven new listed vendors are Colasoft, ManageEngine, Micro Focus (HPE), New H3C Group, Performance Vision, Savvius, and Statseeker. The leaders section contains the vendors that Gartner believes are pushing the NPMD market forward. This includes, “comprehensive portfolios and the ability to handle broad sets of data inputs and analytics techniques.” They also have hardware or software flexibility, while also being affordable. 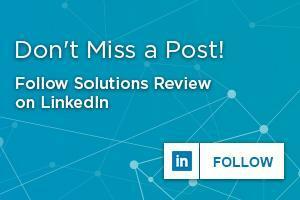 The same names as last year fit Gartner’s criteria: NETSCOUT, Riverbed, and VIAVI Solutions. The challengers section consists of vendors with high market reach and large deployments. What Gartner believes separates them from the leaders is that their feature sets and pricing structures need progress or modernization. Gartner states, “They are currently striving to deal with new technical demands and rising expectations.” This group has been cut in half since last year, only SolarWinds and CA Technologies are left. Gartner sees visionaries as vendors who “built a compelling plan to competitively address current and future NPMD customer demands.” Essentially, they’re the people at the forefront of product evolutions. Insufficient market reach is what keeps them out of the leaders category. This category has doubled since last year. Last year’s three, Cisco, ExtraHop, and Corvil remain in place. The new additions are LiveAction, Colasoft, and SevOne. With Colasoft being new to the report entirely. Last year Gartner considered LiveAction a challenger, and this change was interesting. A key factor pushing them to the innovators side was the consolidation of their LiveUX and LiveNX products. This was a big year for LiveAction, as they added machine-learning-driven analytics in July. LiveAction’s most recent release in November was launched after Gartner’s analysis for this report was completed, and was not factored into their placement. Perhaps this update could have put them amongst the market leaders. The final and most crowded category, niche players, saw a lot of new names. Gartner defines the niche players as vendors who have solutions catering to a specific audience or have limited use-case support today. They don’t think they have extensive ability to address the needs of larger enterprises or have done so in specific market segments. The vendors are working towards becoming more universally recognized but may need to change their strategies slightly. Eleven companies fell into niche players, with only Paessler falling from another category. The reason Gartner gives for their fall is that they had to postpone development of some roadmap items. In the past year, Gartner has observed network monitoring vendors split into two camps: those focused on polling-based infrastructure monitoring, and those focused on hardware-based deep packet analysis. Gartner had expected these two camps to come together to make a singular offering, but that hasn’t been the case. The divided marketplace has led to alliances between the vendors. LiveAction has announced a partnership with Corvil, for example. There are numerous trends that are reshaping the market going forward. Cloud-hosted workloads are a perfect example. End-user expectations are going to continue rising. These and many other shifts are putting pressure on network teams to rethink their tooling strategy. NPMD tools are designed to monitor and troubleshoot the performance of network resources. 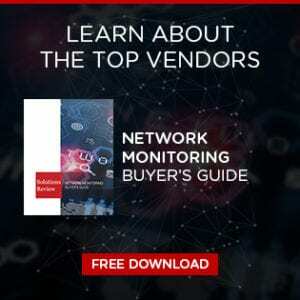 Although the market is slightly divided, it should come together as the demand for effective network monitoring solutions is a necessity in the enterprise marketplace.